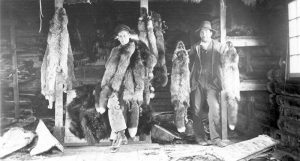 The Cree, by and large, framed the fur trade oprations according to their own survival practices, which maintained the English traders and the posts. In 1685, Fort Charles is captured by the French and is renamed Fort Saint-Jacques. It remains under French control until the Treaty of Ryswick (1697) grants all sole trading rights through the James Bay to HBC. 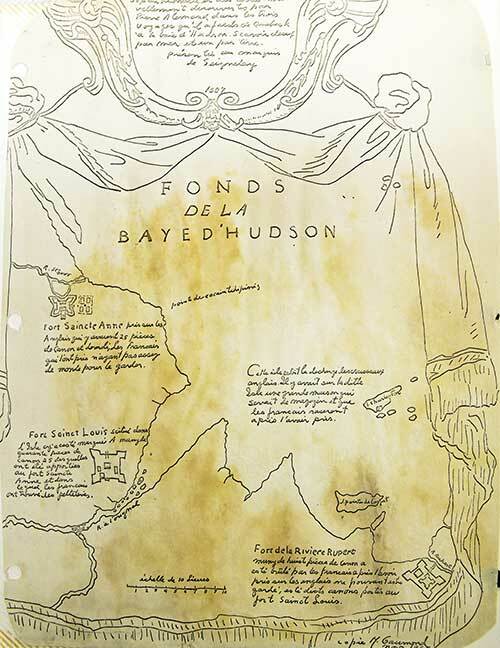 In 1713 all the Hudson and James Bay territories are formally transferred to the British Crown as per the Treaty of Utrecht and all HBC posts regain their original names. Crees start to establish themselves at or around the HBC posts as early as 1730. Called Homeguards, these individuals typically supply the posts with game meat and other supplies in exchange for imported goods. Although little is known about the type of relationships between the HBC employees and Cree homeguards in the 18th Century, Foster (1987) concludes that these were primarily based on interdependence rather than economic dependence from the part of the Cree. In fact, Morantz’s (2002) study of HBC post records shows that the Cree, by and large, framed the fur trade according to their own survival practices, which maintained the English traders and the posts: “as it happens, the interests of both parties happened to coincide, which made the fur trade possible [...The] Crees seized opportunities and maximized their social and cultural options” (22-23). HBC trade practices introduced a new form of social organization that although still in line with traditional Cree society differed slightly. Increasingly, groups of four to five hunters began arriving at the posts under the guidance of a leader, known as uuchimaau to the Cree and ‘captain’ to the HBC managers. These leaders were not necessarily the best hunters, but rather adept at communicating with Europeans and valued for their trading skills by the other Cree hunters. From the HBC point of view, these leaders were important because they brought more hunters to the posts and thus increased the trade. The HBC managers often gave them European coats to distinguish them from other trading hunters as well as other gifts of food and clothes that were then redistributed within the trading group (Carlson, 2008; Morantz, 2002). Liaisons were also established between HBC white employees and Cree women, also known as “country wives”. The women and their children were most often left behind when the non-Cree employees moved to other posts or retired, nevertheless some post managers chose to stay with their families after retiring but permission needed to be gained from HBC. Because they were not allowed to take their families back to Europe, many post managers chose to establish themselves in Red River Settlement, Manitoba (Pachano, 2011). Activities at Fort Charles were reduced for most of the 1700s, even to the point of being abandoned by 1755. Almost two decades later in 1772, HBC resumed its activities at Fort Charles, now called Fort Rupert. HBC lost its monopoly over the fur trade in the region in 1783 when a consortium of eight merchants from Montreal forms the Northwest Company. They received rights to trade in the James Bay in 1788 and set up inland trading posts in the Cree territory. The Cree took advantage of the new competition either moving from post to post to avoid accumulating too much debt or trading furs at much better value. Increased trade with the Northwest Company led the HBC to designate Fort Rupert the headquarters for the HBC superintendent as a way to make inroads with the inland Cree. The Northwest Company posed an additional threat to HBC by directly dealing with hunters and setting posts near their camps. During this period, both trading companies introduced alcohol as an incentive for increased hunting, which had, in many cases, a negative effect on the Cree who experienced the first social problems linked to violence and abuse which is still felt in communities today (Carlson, 2008; Pachano, 2011). In 1821, HBC and Northwest Company merged, allowing once again for a monopoly to run the fur trade in the James Bay (and the rest of Canada).